Nestlé is using a floating supermarket to take its products to remote communities in the Amazon. Unilever has a small army of door-to-door vendors selling to low-income villages in India and west and east Africa. 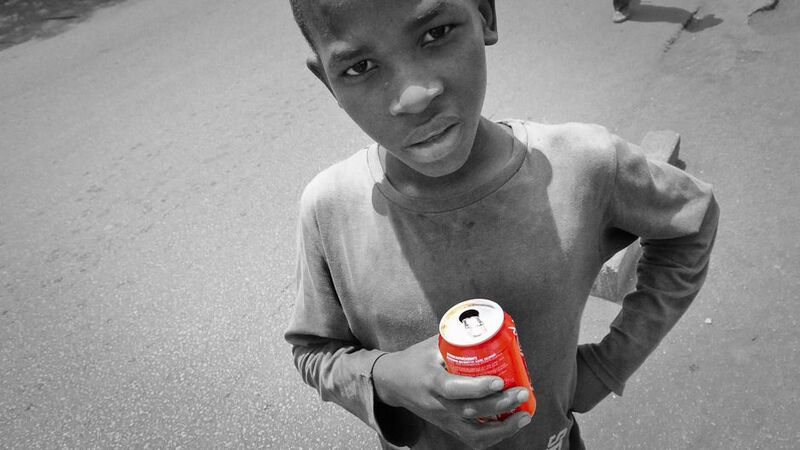 The brewer SABMiller has developed cheap beers in some African countries as part of a “price ladder” to its premium lager brands, and, as a leading Coca-Cola bottler and distributor, is aiming to double fizzy drinks sales in South African townships. As affluent western markets reach saturation point, global food and drink firms have been opening up new frontiers among people living on $2 a day in low- and middle-income countries. The world’s poor have become their vehicle for growth. The companies say they are finding innovative ways to give isolated people the kind of choices the rich have enjoyed for years and are providing valuable jobs and incomes to some of the most marginalised. But health campaigners are raising the alarm. They fear the arrival of highly processed food and drink is also a vector for the lifestyle diseases, such as obesity, diabetes, heart disease and alcoholism, which are increasing at unprecedented rates in developing countries. A UN summit in New York in September confirmed the scale of the health crisis. Nearly two-thirds of all deaths worldwide in 2008 were attributable to lifestyle diseases. By 2030 these non-communicable diseases (NCDs) are expected to be the cause of nearly five times as many deaths as the traditional, infectious scourges of poor nations such as TB, malaria and Aids. Last year 39% of acquisition deals by consumer goods companies were in emerging markets, compared with just 1% in 2008, according to the Grocer’s OC&C Global 50 league table. As diets and lifestyles in developing countries change, their patterns of disease are following those seen in industrialised countries in the north equally rapidly. But for poor countries there is a double whammy: they have started suffering from high rates of NCDs before they have managed to deal with hunger and malnutrition.The double burden is devastating both their economic growth and their health budgets. In South Africa, about a quarter of schoolchildren are now obese or overweight, as are 60% of women and 31% of men. Diabetes rates are soaring. Yet, nearly 20% of children aged one to nine have stunted growth, having suffered the kind of long-term malnutrition that leaves irreversible damage. Dr. Motsoaledi is a medically trained former anti-apartheid activist, and does not shy away from the dramatic. He marked the day the 7 billionth child was thought to have been born in to the global population by scrubbing up and delivering a baby himself by caesarean section. He then tied the new mother’s tubes as his contribution to family planning. Pushing through radical action on NCDs is one of his priorities. He said: “When I was a medical student under apartheid, heart attacks were a rare thing for black people. Governments trying to restrict the marketing activity have found themselves challenged in court. Motsoaledi is watching the case brought by the tobacco industry against the Australian government, which wants to ban all branding on cigarette packs. “I want a similar structure for alcohol control,” he says. He knows that he is likely to be the target of determined lobbying as well as legal action. The interests Motsoaledi is taking on are indeed powerful and quick to defend themselves. SABMiller, the largest brewer in South Africa, points out in documents on its “alcohol responsibility” web pages that it supports 3% of the total employment in South Africa, and generates taxes — mostly from excise duty on its products — that account for 5% of the government’s tax revenue. It believes industry can play a role in tackling health problems and argues that its marketing promotes brand loyalty, not greater drinking. Kristin Wolfe, head of alcohol policy at SABMiller, said: “We market to our target consumer; we don’t go after non-drinkers. What the UN wanted in New York was a whole societal approach. Marketing is seen as just one factor. It has to be responsible, but there’s a distinction between harmful drinking and marketing. It’s a more enlightened approach to get industry to do what it can; we will make better progress,.” The company points to its investment in projects to tackle alcohol harm and bring unlicensed outlets within regulation. Thandi Puoane, a professor at University of Western Cape, has tracked the increase in NCDs since the end of apartheid. With sanctions lifted and freedom of movement introduced after the multiracial elections in 1994, there was a rapid change in the profile of disease. Large numbers of black people have moved from rural areas where they had to walk miles for water and fuel to the townships on the edge of the cities. The townships are overcrowded, unemployment is high and infrastructure, such as electricity and sanitation, poor or nonexistent. Fast-food outlets and imports of processed foods proliferated after markets re-opened. Large numbers of people moved to townships, where infrastructure is poor. “People coming here buy fatty, sugary food and drink because it’s cheap and it feels a luxury not to cook,” Puoane said. “Cooking fuel is expensive. They can buy from street vendors on credit. Fear of crime, often fuelled by alcohol, stops them taking exercise. They think they are happy because they are fat and when they go back to their rural areas people say, ‘you must be doing well, you have put on weight’.” Being thin and losing weight is associated with Aids and TB, which makes being overweight seem more acceptable. Khayelitsha, a township that sprawls for miles alongside the highway from Cape Town to the Cape flats, is one of the largest and fastest growing in South Africa. Unofficial estimates put its population at a million. Here you can see the crisis of obesity and other NCDs writ large. Unemployment is nearly 60%, and 70% of residents live in shacks with no running water. Alcohol use and violent crime are high and many people are overweight, particularly among women and teenage girls. The faculty of public health at the university has pioneered health clubs to address the problem. Lungiswa Tsolekile, a dietitian working on the health project, described some of the cultural barriers to being healthy in this environment, as she took me on a tour. Access to affordable fresh food was limited. Street stalls sold cheap but often fatty foods, such as the chicken skin discarded by poultry factories, or chicken feet, tripe and sheep’s heads. Processed soup, often high in salt, is popular as a cheap gravy to go with the staple of maize porridge. Every other shack shop, and even a church hall, is adorned with Coca-Cola branding. Retail giants have arrived, and Walmart has just taken over one of the large South African chains, but a taxi to the nearest supermarket for fresh fruit and vegetables costs four rand, more than many can spare. She pointed out the numerous billboards advertising alcohol, too. The ShopRite supermarket we visited was packed with people pushing basket-sized trolleys – the average spend here is small by European standards. There was fresh food available, but a kilo of tomatoes cost more than a 2-litre bottle of cola. At the entrance to the store, leaflets were promoting cut-price alcohol with free mobile phone deals; the aisle ends had special offers for Nestlé’s coffee-style caffeine drink Ricoffy listing dextrin (a starch sugar) and dextrose (a form of sugar) as its two main ingredients, and Nestlé’s Cremora, a coffee creamer whose principle ingredients are glucose syrup solids and palm fat. The checkout was stacked with sweets alongside “funeral plan pay-as-you-go” starter packs. “We use physical exercise in the health clubs as a vehicle to help with other aspects of health, including cooking sessions on how to prepare healthy food with traditional ingredients. We pick up a lot of hypertension, high blood glucose and diabetes,” Tsolekile said. Nestlé meanwhile sees itself as “providing products that are healthier, safe and affordable for consumers wherever they are”. It says it gives consumers the information they need to make healthier choices, through the labelling and sponsored education programmes. Unilever believes its door-to-door sales network has helped lift people out of poverty. Trevor Gorin, its global media relations director, said: “It has essentially empowered people in rural communities, largely women, to become entrepreneurs, generating income – with all the concomitant benefits this income generates. 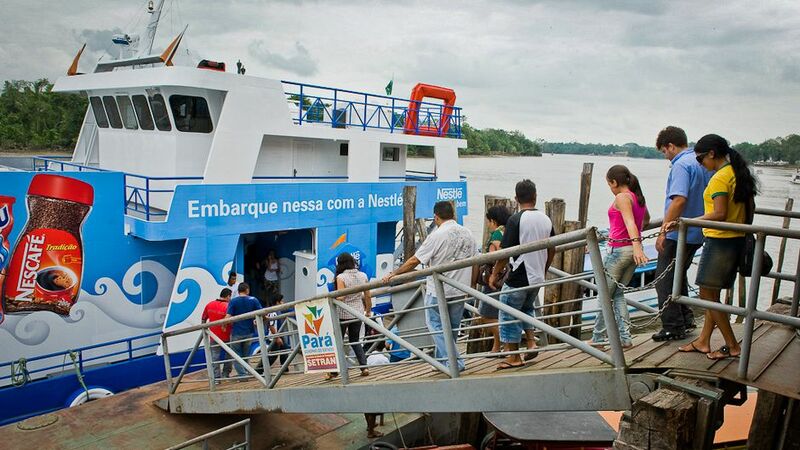 Nestlé’s floating supermarket took its maiden voyage on the Amazon last year and has been distributing its products to around 800,000 isolated riverside people each month ever since. Christened Nestlé Até Você, Nestle comes to you, the boat carries around 300 branded processed lines, including ice creams and infant milk, but no other foods. The products are in smaller pack sizes to make them more affordable. 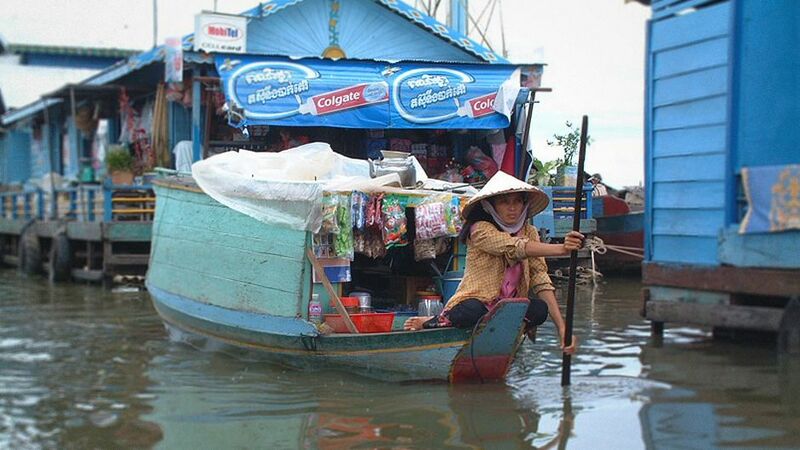 The boat also acts as a collection point for the network of door-to-door saleswomen Nestlé has recruited to promote its brands. Targeting consumers from socio-economic classes C, D and E is part of the company’s strategic plan for growth, it says. Nestlé has also set up a network of more than 7,500 resellers and 220 micro-distributors to reach those at the bottom of the pyramid in the slums of Rio and São Paulo and other major Brazilian cities. This article was published on guardian.co.uk on 23 November 2011.